Networking startup Avi Networks is ready to explain just how it virtualizes networking gear so that enterprises don’t have to rely on legacy equipment. The startup is also announcing that it has raised $33 million in venture capital since being founded in 2012. Greylock Partners, Lightspeed Venture Partners and Menlo Ventures are all investors of the startup. The Sunnyvale, California, startup is one of the many companies that’s taking a software approach to networking to stop the reign of legacy networking providers like [company]Citrix[/company] and [company]Riverbed[/company], which sell proprietary hardware. Avi Networks can be considered a networks-function virtualization (NFV) player, explained its CEO and co-founder Umesh Mahajan. It wants to remove and improve upon the software that powers proprietary networking hardware, like application delivery controllers and load balancers, so that users can plug that software into cheaper, generic servers and still get the same capabilities. What makes Avi Networks different than other vendors, like the recently launched Akanda, is the startup’s plan to target the load balancer appliance and the application delivery controller, which help distribute traffic across the data center and ensure that when a server goes offline, another one can pick up the slack. These devices, which sit in Layer 4 and Layer 7 of a network, are designed to make sure that applications are running well and performance isn’t suffering. The technology is similar to what content-delivery network provider [company]Fastly[/company] is doing in its data centers. Fastly customized the software inside its [company]Arista[/company] switches and servers so that those devices now take on load balancing, thus negating the need to buy a load balancer appliance. Avi Networks basically sells customized load-balancing software, sold on a “pay-as-you-use” model, that runs on standard x86 hardware, explained Dhritiman Dasgupta, the company’s vice president of marketing. As the load-balancing software collects and routes traffic, it also stores some of that data in an custom-built analytics engine that can help staff figure out what is going on when a networking problem occurs, he explained. For example, using the analytics engine, users should be able to tell if a problem with a server might have caused an application to go down or if it was actually something with the application itself. Companies often buy more gear than they actually need because they want to make sure that they can handle a spike in traffic, should it occur, Dasgupta said. Avi Networks supposedly cuts down on the necessity to buy more gear because its software can handle enormous amounts of traffic, and a user can cut back on the service if there’s not that much occurring. Update: Story clarified to emphasize Avi Networks targeting load balancers and not switches or routers. 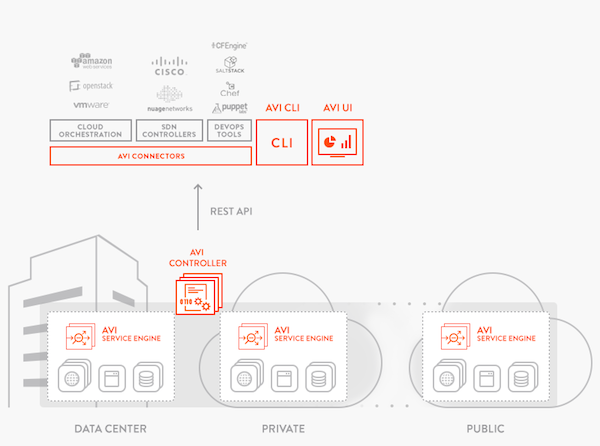 “What makes Avi Networks different than other vendors, is the startupâ€™s plan to target the load balancer appliance and the application delivery controller”. Citrix has been offering the virtualized VPX version of their Netscaler LB and ADC for years. That being the case, how does this make Avi different from other vendors like Citrix? I was comparing Avi Networks with other NFV startups who have not developed that specific type of tech. Running an instance of Netscaler LB on an hypervisor does not makes it cloud ready. Incumbents providing virtualized versions of their siloed hardware products does not provide agility required in the cloud. I’m aware that virtualization does not equal cloud. However cloud is not mentioned once in the article, so I’m not sure why you raised it? The premise of the article is the virtualization of networking gear, and how in that context Avi would be different to other vendors. Hence why I mentioned NS VPX, as they have already virtualized the networking gear that Avi intends to target. You can have a look at their HYDRA architecture, looks tailored for the cloud!